'You'll never be a journalist's bootlace!' During his cadetship in the early '60s, Mal Walden heard these words frequently from his news editor and media mentor, John Maher. 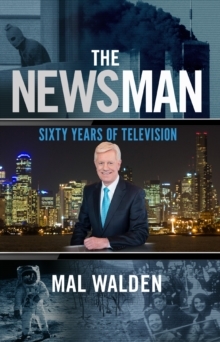 Walden not only proved his mentor wrong, he went on to become the longest-serving newsman on Australian television. From a career starting in country Victoria radio, Walden went on to work in Launceston and Melbourne, and then finally made the shift to television as news anchor for channels 7 and 10. 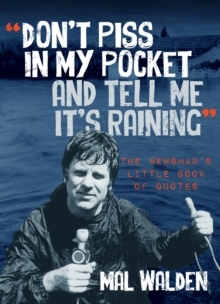 Each year he maintained a journal in which he recorded his many serendipitous and life-changing moments. 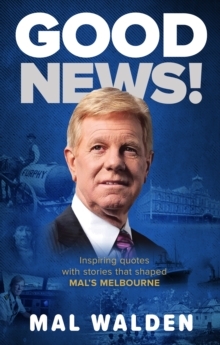 These memories form a record - not only of his life as a newsman - but of the evolution of television news, which is now in its sixtieth year and facing what many proclaim is the imminent 'death of news' in all its traditional forms. This is the story behind the stories we think we know. A very personal look at the public face of news by one of the most well-loved and respected news presenters of our time.